Whether you go to Antigua to climb volcanoes or bask in its colonial charm you’ll want somewhere that fits the classy chic vibe the city has. 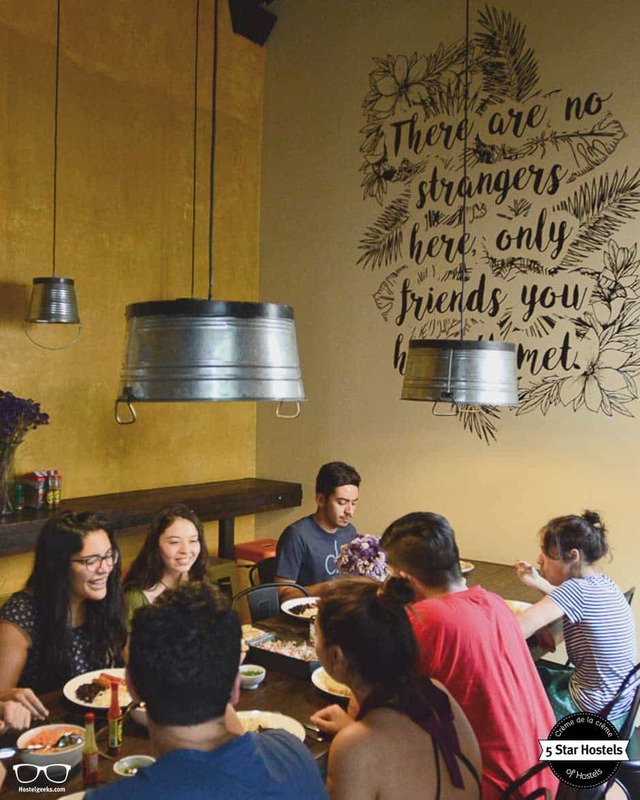 Cucuruchos Hostel is a former ‘after party’ venue that ticks all the boxes with a perfect central location, uber cool design and comfy and clean digs. 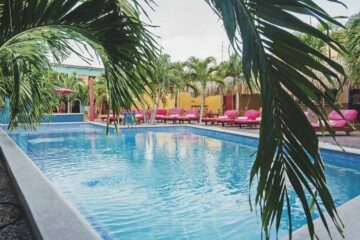 How to book Cucuruchos Boutique Hostel? 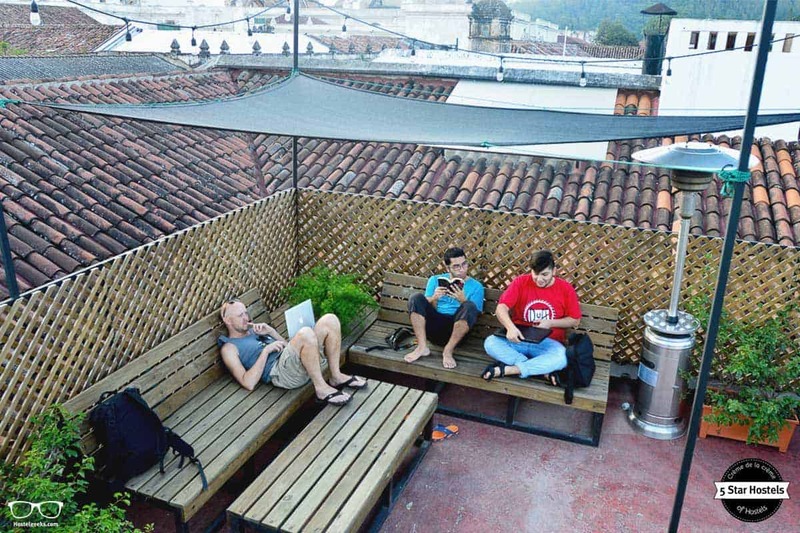 You just found our #1 recommendation for best hostels in Antigua, Guatemala. Genuinely, Cucuruchos Boutique Hostel is the accommodation we recommend to our friends, family, and to you! You will like it! Planning to stay at Cucuruchos Boutique Hostel? Please use the links provided above. 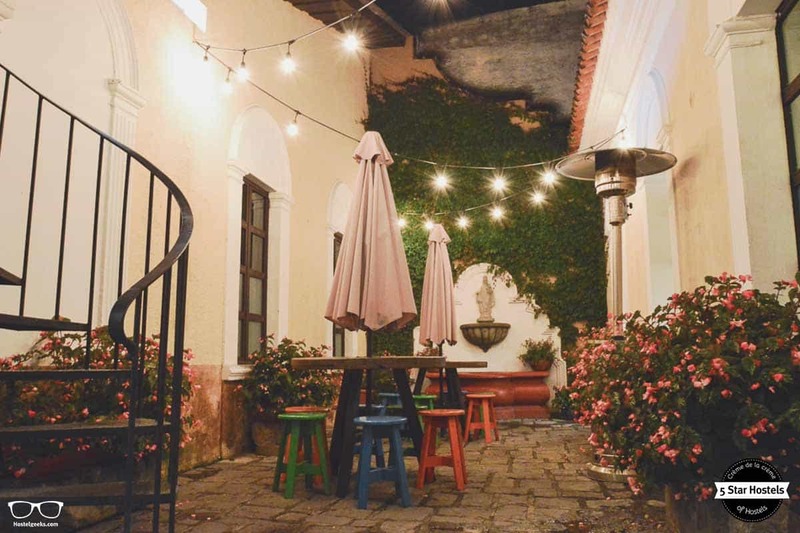 Just a block from the central park of Antigua Guatemala, Cucuruchos Boutique Hostel is in the perfect location to explore the city. Whilst not a huge place you can get to all of the main attractions within a fifteen-minute walk. If you have been travelling Central America for a while you will likely be sick of rice and beans. Fear not, Antigua is a foodie paradise with cuisines from all over the world to pick from. Your taste buds are in for a treat and there are numerous options within minutes. The famous restaurants Rincon Tipico and Las Antorchas are in the same street of this Antigua hostel. Two large supermarkets are 10-minute walk away. You will find small convenience stores on every corner. A huge outdoor market with every souvenir imaginable, as well as the place to get clothes, toiletries and other essentials, is also 10 minutes away. Any of the many tour operators around town, as well as this Antigua hostel, can arrange shuttles throughout Guatemala and to neighbouring countries. If you prefer to travel like a local, the ‘chicken bus’ station is right behind the market. 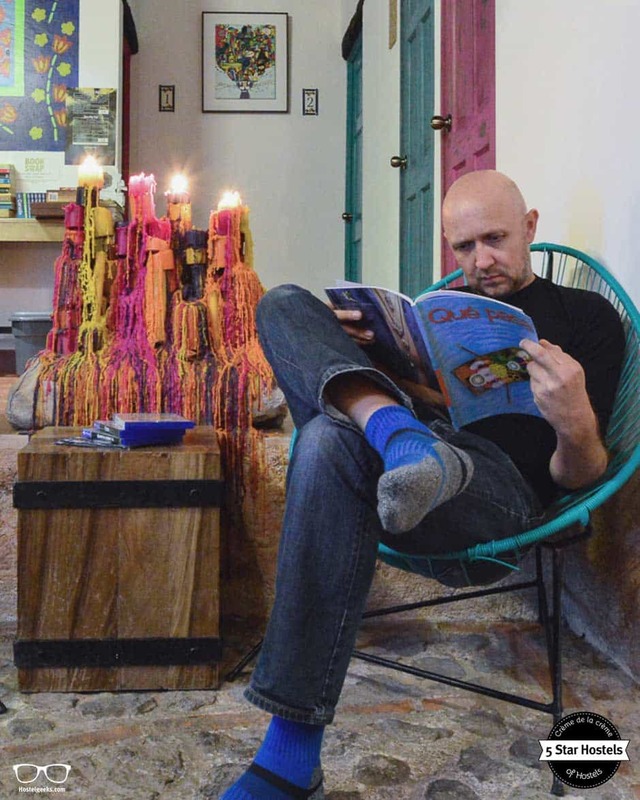 Hostelgeeks official writers, Simon and Eshé, traveled around Central America. They were looking for the best Hostels in America Latina and had a look at the Antigua hostel scene. 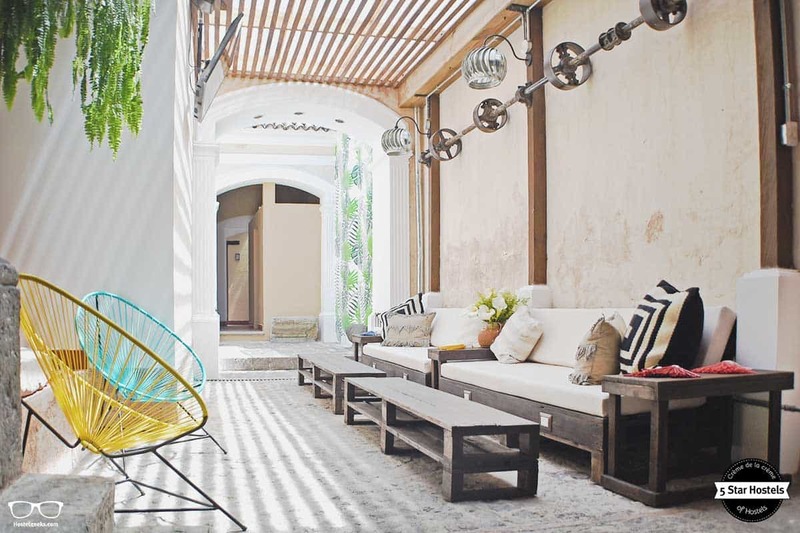 They introduced us Cucuruchos Boutique Hostel, the brand new 5 Star Hostel in Antigua, Guatemala. In fact, this is the very first 5 Star Hostel in Guatemala. 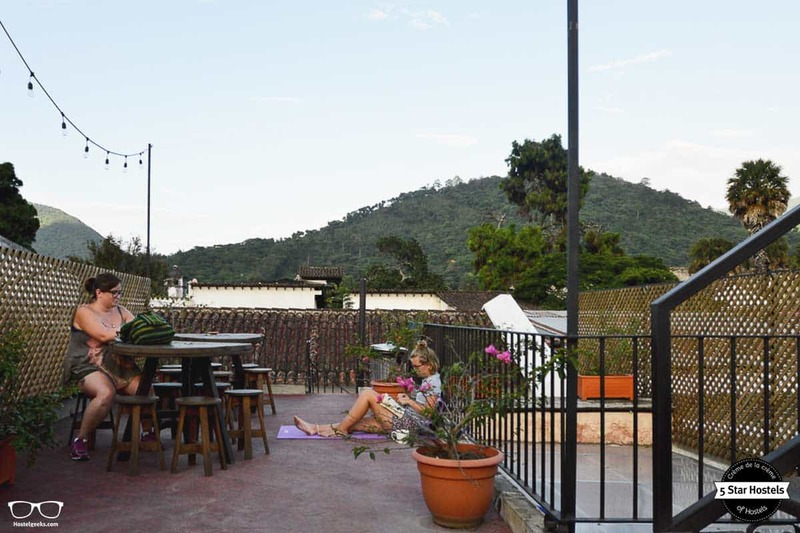 Cucuruchos Boutique Hostel in Guatemala is a boutique hostel with not only great location, but cool comfy digs and volcano views. Comfy what?! Keep reading and you will discover why this stunning colorful accommodation got the 5 Star Hostel award. We are Hostelgeeks, your shortcut to the most stunning accommodations in the world, the 5 Star hostels. You still don’t know what is a 5 Star Hostel? Check out the criteria and join the Hostelgeeks community to get all the details about all the 5 Star Hostels around the world. Cucuruchos Boutique Hostel is not the only 5 Star Hostel in America Latina. 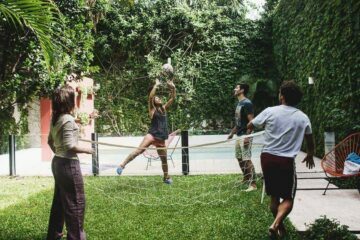 Find all 5 Star Hostels in South and Central America here. But let’s go back to this Antigua hostel. Adjust your screen brightness and keep scrolling to read Simon and Eshés’s impressions. An important criteria to become a 5 Star hostel is sustainability. During Holy week Antigua become a blur of colours, as processions of floats filled with religious imagery are carried around the ancient cobbled streets. With rights passed down through generations and many people paying for the privilege, a way of showing devotion and penitence. Those carrying the floats are usually donned in purple robes, often with cone shaped hats – cone being the Spanish translation of cucuruchos. Those carrying the floats have become known as Cucuruchos. Carrying the floats receives the respect of all. No strenuous work or similar clothing requirements are required when you stay at Cucuruchos Boutique Hostel. Fellow travellers staying in the many other hostels around the city will definitely respect and envy that you have been lucky enough to secure a bed in this gem of a hostel. 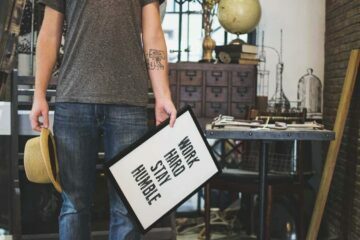 Remember, there are 46 signs that tell you it’s an awesome hostel. 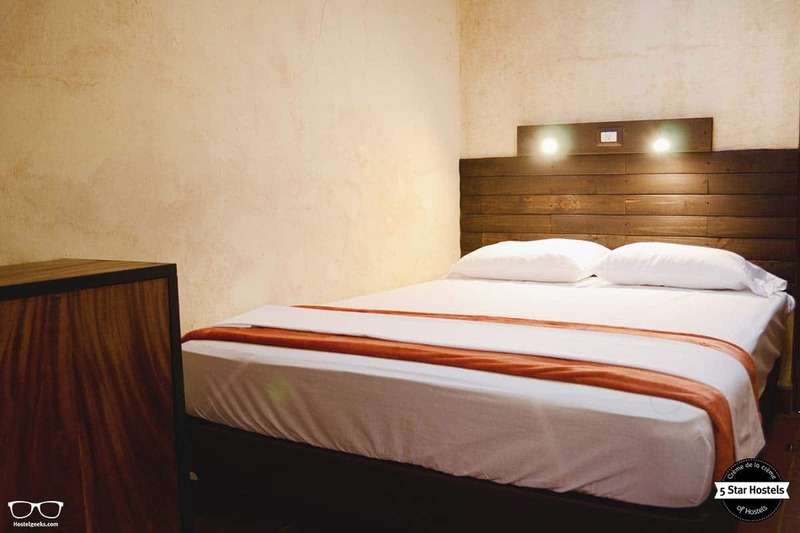 Cucuruchos Boutique hostel also follows a recycling program to reduce and recycle all the waste produced in the hostel. All drinks on sale at the hostel come in recyclable glass bottles and cans. They do also provide free filtered water in order to avoid the consumption of bottled water. A great move for the planet (and our pockets). 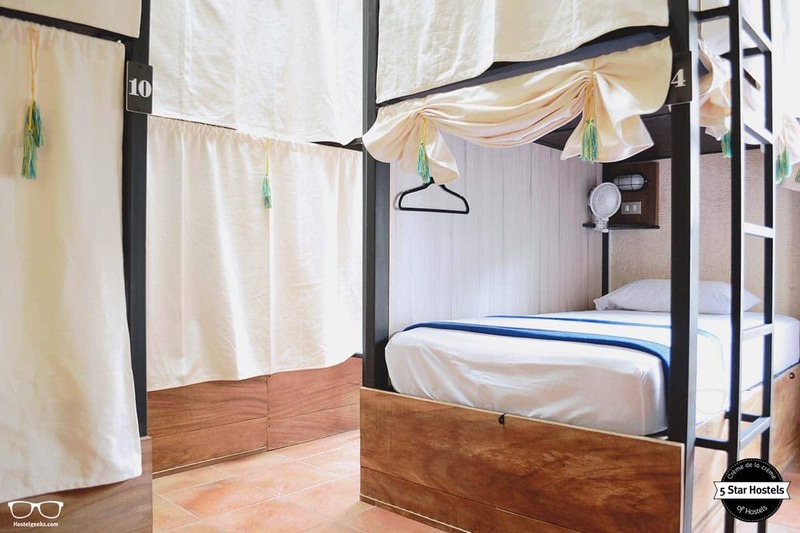 As Antigua has sun all year long, the Hostel was designed to take advantage of natural light. This way, electricity consumption can also be reduced. Antigua is loaded with wonderful things to do like Volcano hiking, trekking, the Tikal National Park and lots of culture. The best starting guide is written up by WikiTravel. Here you can find as well the tours and cooking classes around. If you watch any kind of hospital-based drama like Greys Anatomy you’ll see surgeons thoroughly scrubbing in before they enter the OR. The owners of Cucuruchos apply the same level of cleanliness. The whole place is spotless and you will often be excusing yourself as you walk over a freshly mopped floor. After a long time on the road, clothes start to suffer: dust, sweat, beer and food tainting the fabric. A typical hostel laundry service seems to involve the clothes being momentarily dunked in cold water then hung on a line to dry. We were astounded when our laundry was returned two hours after we handed it in. Spotless, smelling like a summer meadow and vacuum packed to ensure the neat folds were retained. I’ll be honest; it brought a tear of happiness to my eye, as I got dressed. The hostel has a modern design and at the same time includes many typical details of the Guatemalan culture. It is a mix between the colonial, traditional Guatemala, and contemporary design. 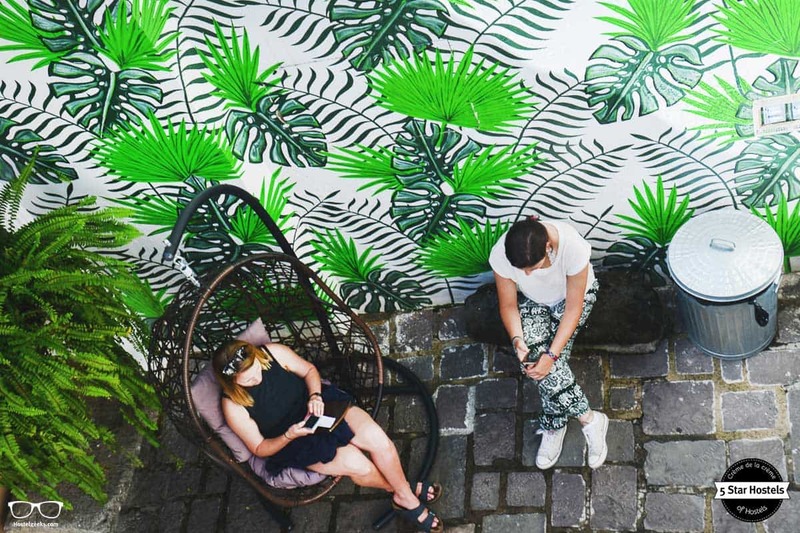 Here are 13 cool hostel design ideas to get inspired by. 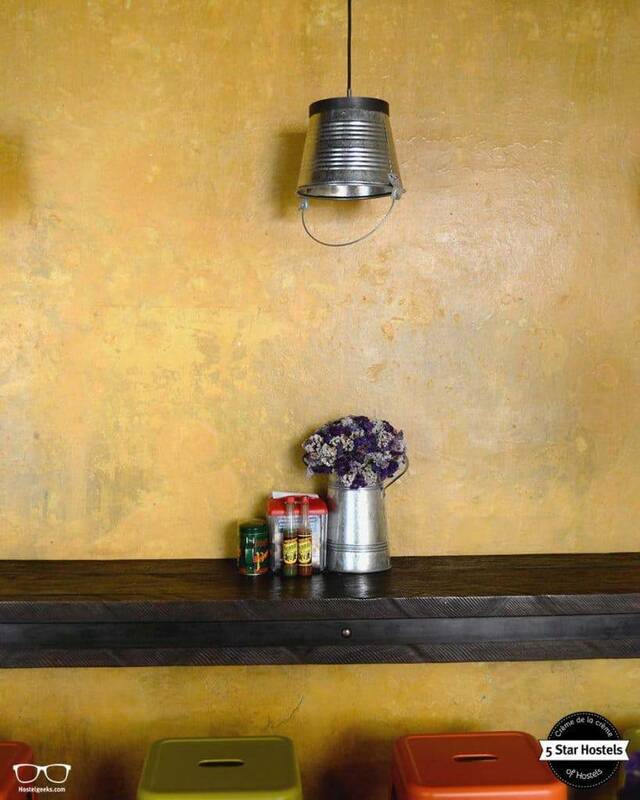 Many of the lamps are made from recycled products such as oil barrels, air exhausters and metal buckets. The shared bathrooms feature recycled mirrors made of oil barrel lids that perfectly blend with the colonial-style colored doors. 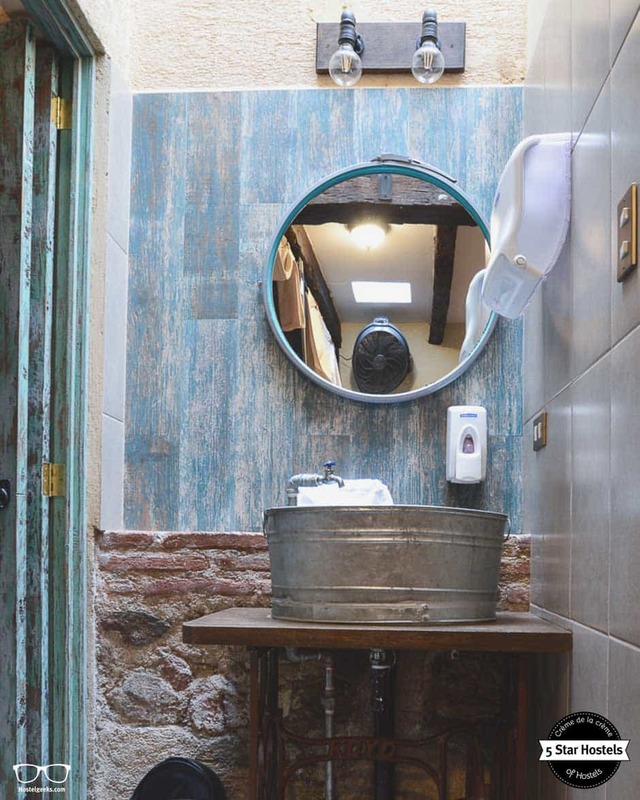 The bathrooms in the private rooms have a unique and original design made with antique sewing machines, metal buckets and oil barrel lids mirrors. I’ll often forgot an extra jumper in the rucksack to ensure I have a box of teabags. 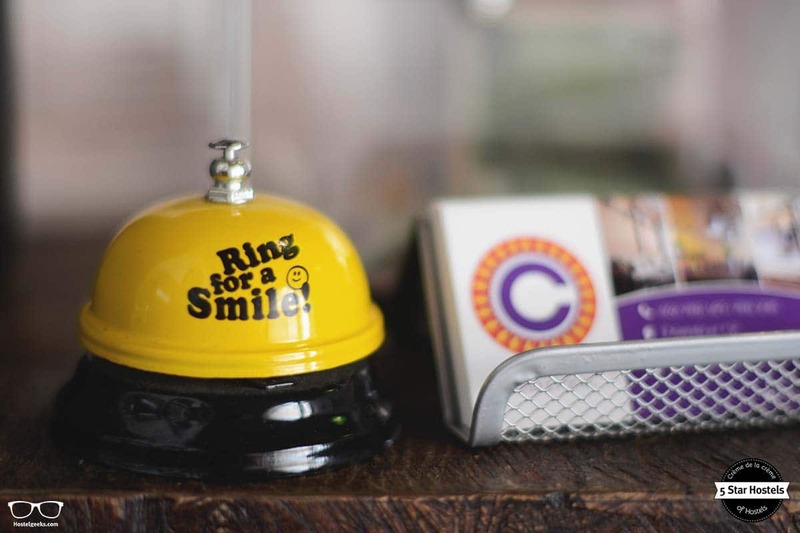 The smile that spread across my face at check in when receptionist, Phoebe, informed me that there were complimentary tea and cakes served every afternoon at 5pm was akin to the Cheshire Cat. Before the hostel was born in late 2016 the building was the venue for illegal after parties. When the bars stopped serving at midnight this would be the place to come. The large front doors acting as a souvenir shop were a front for the parties that took place behind. I would hazard a guess that the favourite place then to hang out was the roof terrace. This suntrap gets a nice breeze and there are shady spots to escape the heat or rain. A mix of funky tunes play throughout the building all day and these are pumped onto the roof. 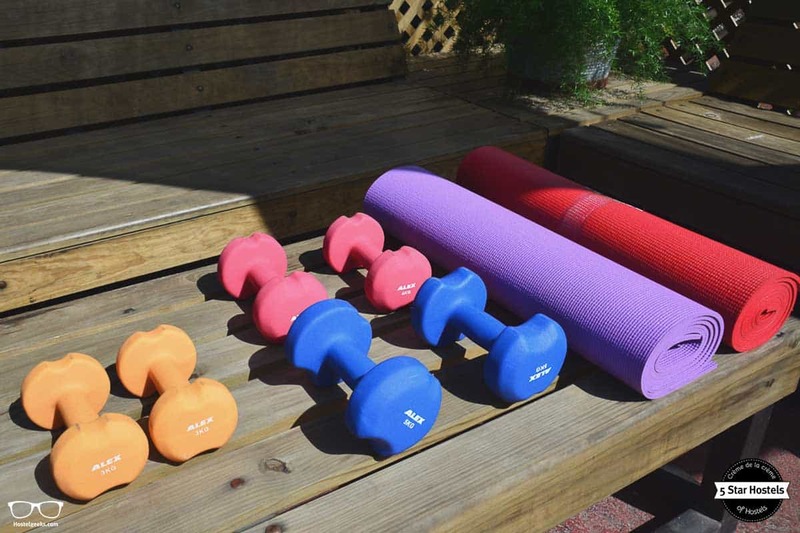 If you are an early riser and crave a workout, the roof terrace in the morning is the spot for you. Yoga mats, skipping ropes and weights are provided, making this the perfect airy spot to exercise before the heat of the day kicks in. By day you can see one of the three volcanoes that loom large over the city as well as many of the cities beautiful churches from the clever viewing platform that has been added. At night when the city basks in the glow of pretty lights, you can take it all in with old and new friends over a few beers or bottles of wine available to buy at the reception. In the afternoon, I took my tea to the terrace, where I was able to appreciate the volcanoes of Agua, Fuego, and Acatenango. What could be better than a tea with those stunning views? 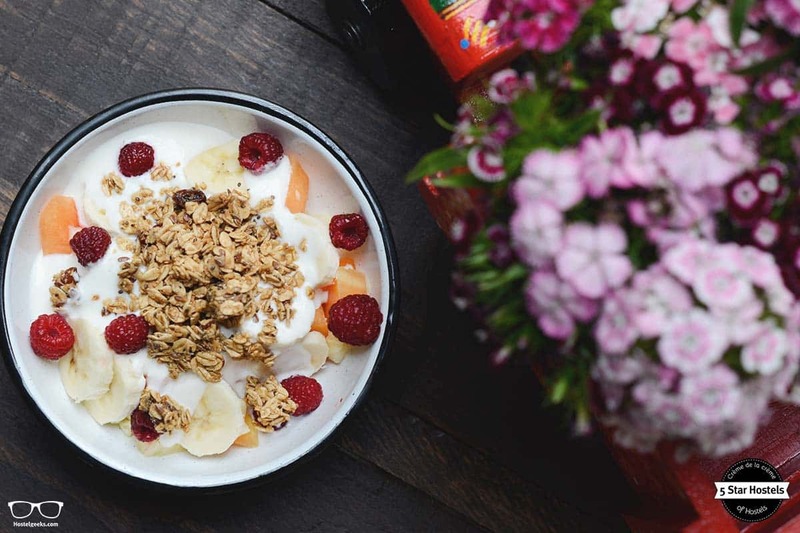 Whilst there is a well-equipped large and functional kitchen available for guests to cook, one meal you can purchase is breakfast. Make sure you do. For a small amount (even reduced if you arrange when you book your bed) you are in for a visual and tasty treat. The waffle with fresh fruit and almonds is so good and filling I skipped lunch. And come on…have a look at this fruit booooooowl. With only one private room designed for families, dorms are the most common option at Cucuruchos. If you tend to prefer a private room though don’t worry. The clever and intimate design of these cosy cubbies provides both privacy and comfort. 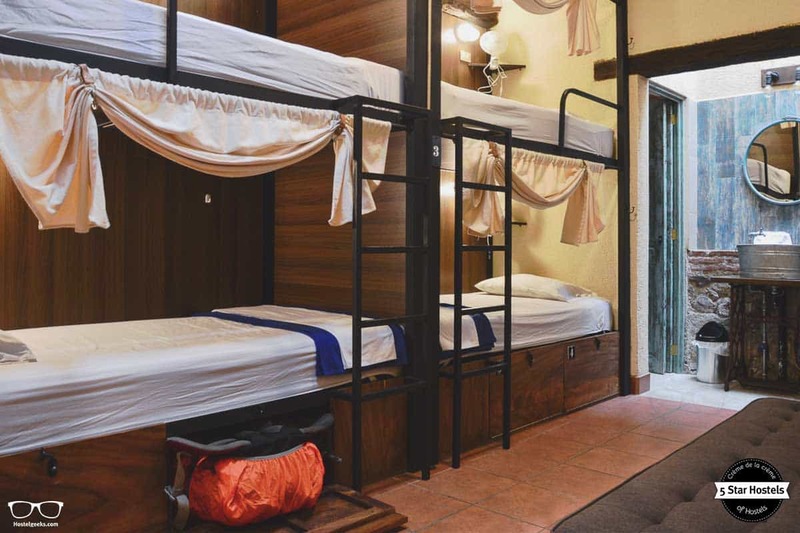 Here’s our guide to the different types of hostel rooms. We had been in Antigua a few days already and had decided to treat ourselves to a hotel. In hindsight, it was a big mistake. Sure that place looked pretty but no prettier than Cucuruchos and the beds and facilities were lacking the quality here but for twice the price. New mattresses, pillows and linen ensured I slept like a baby during my stay at Cucuruchos Boutique Hostel. Each bed has its own light, fan, power socket, shelf, pen and hooks with hangers. The lockers are also big. Even for the chronic overpackers, there is enough space. With fast speed WiFi throughout the building, you can work or chill in bed. To give you and fellow guests privacy, thick calico drapes cover the full width of the bed. I have stayed in a lot of hostels around the world and this is the first that has ever performed a housekeeping service on my dorm bed. Returning from a morning excursion I thought I had walked into the wrong dorm. My clothes were immaculately folded and my crisp bed sheets made with perfect hospital corners. The shared bathrooms may be a tad small but they are beautifully designed, spotlessly clean and fully functional. There is even hot water in the shower, a treat in this part of the world. As with the whole hostel, many everyday items have been upcycled to serve a new purpose and leave Cucuruchos bursting with character. Distressed wood doors have been salvaged, light shades are made of old buckets, sinks had former lives as pans and tables were once large cable spools. It all works beautifully. We mention it every time: a 5 Star Hostel is not real if there is not a good team behind. And Cucuruchos Boutique Hostel is not exception. The team of Cucuruchos hostel is formed by 7 incredible women and 3 super talented men. Are in charge of preparing the delicious breakfast every morning. As well as the persons that make sure you to rest in a clean and tidy place. You will leave the hostel with your backpack full of smiles of these incredible women. These smiling and friendly guys are in charge of welcoming you to the hostel, helping with everything you may need during your stay. We love meeting people from all over the world. They go out of their way to make your stay in Cucuruchos the best. They love to recommend restaurants to eat and places to visit, always with honesty. 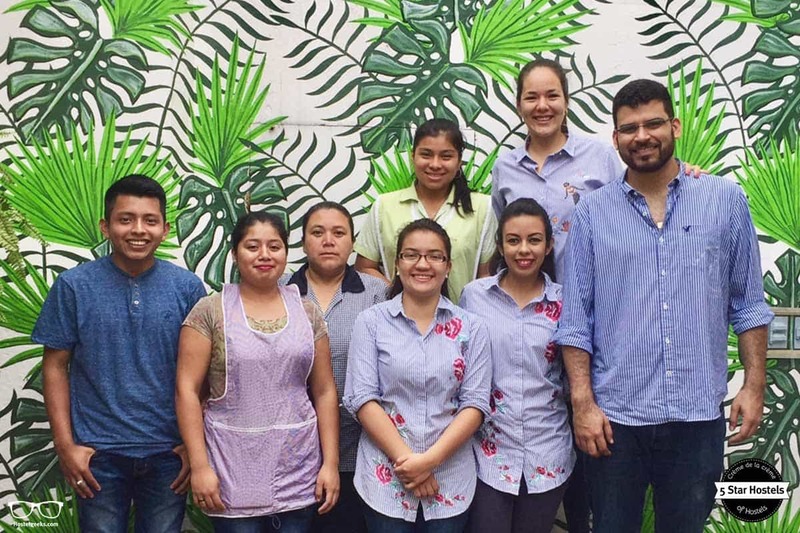 Dario and Jimena, as well as the whole team, want to make sure that your time in Guatemala and Central America turns out an incredible experience. Stay at our place and we will take care of you. Fancy a promo code for Cucuruchos Boutique Hostel? Who doesn't?! Now, there is no easy way to say this: Currently we do not have a valid discount for Cucuruchos Boutique Hostel. 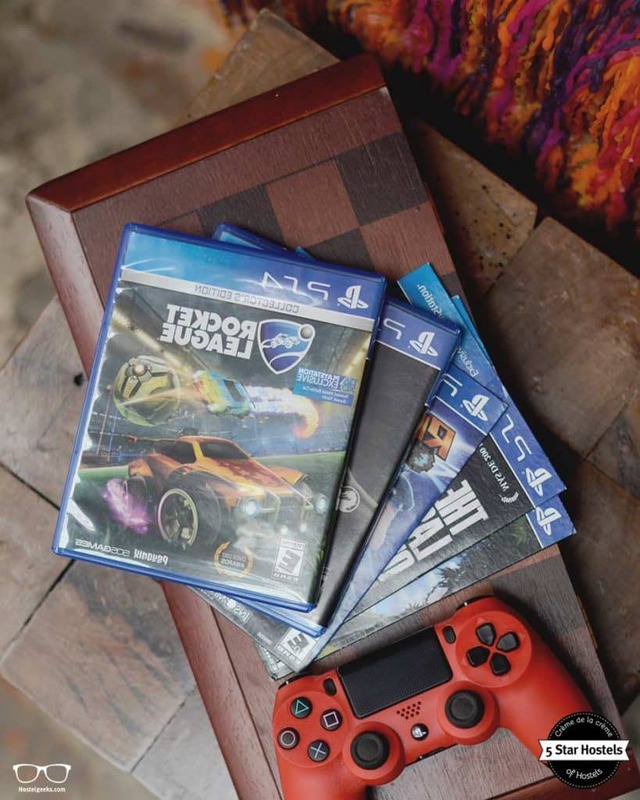 We are working on getting more promotional codes for Cucuruchos Boutique Hostel in Antigua, Guatemala and all the other top hostels we reviewed for you. You were looking for the absolute BEST hostels in Antigua, Guatemala? You just found it! Cucuruchos Boutique Hostel is the top place we recommend to our friends, family and to you! 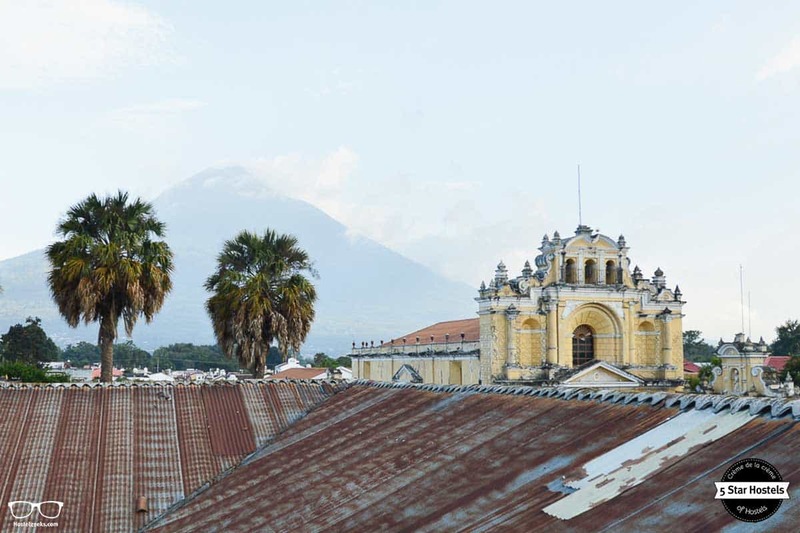 Update April, 2019: How to find flight deals to Antigua, Guatemala? Still looking for cheap flights to Antigua, Guatemala? We LOVE Kiwi.com. You can search here with a so-called "radius search". It is incredible easy to find sweet flight deals to Antigua, Guatemala and area.